Sports-related concussions are currently diagnosed through multi-domain assessment by a medical professional and may utilize neurocognitive testing as an aid. However, these tests have only been able to detect differences in the days to week post-concussion. Here, we investigate a measure of brain function, namely resting state functional connectivity, which may detect residual brain differences in the weeks to months after concussion. Twenty-one student athletes (9 concussed within 6 months of enrollment; 12 non-concussed; between ages 18 and 22 years) were recruited for this study. All participants completed the Wisconsin Card Sorting Task and the Color-Word Interference Test. 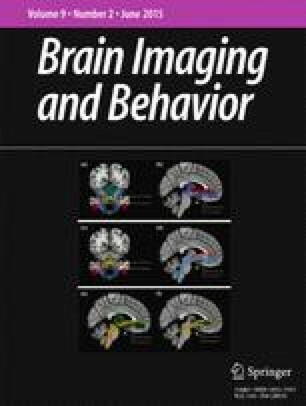 Neuroimaging data, specifically resting state functional Magnetic Resonance Imaging data, were acquired to examine resting state functional connectivity. Two sample t-tests were used to compare the neurocognitive scores and resting state functional connectivity patterns among concussed and non-concussed participants. Correlations between neurocognitive scores and resting state functional connectivity measures were also determined across all subjects. There were no significant differences in neurocognitive performance between concussed and non-concussed groups. Concussed subjects had significantly increased connections between areas of the brain that underlie executive function. Across all subjects, better neurocognitive performance corresponded to stronger brain connectivity. Even at rest, brains of concussed athletes may have to ‘work harder’ than their healthy peers to achieve similar neurocognitive results. Resting state brain connectivity may be able to detect prolonged brain differences in concussed athletes in a more quantitative manner than neurocognitive test scores. An erratum to this article can be found at http://dx.doi.org/10.1007/s11682-014-9328-6. The authors would like to thank the Department of Radiology and the Advanced MR Imaging Core at the University of Massachusetts Medical School. The project described was supported by an award from the Department of Radiology, University of Massachusetts Medical School (UMMS). MRI studies were conducted at the Advanced MR Imaging Center, UMMS, with support from Shaokuan Zheng, PhD. The authors would also like to thank the athletic trainers at Clark University and the College of the Holy Cross for their recruitment efforts. National Institute of Mental Health to CMM (MH073998), and start-up funds to CMM from the University of Massachusetts Medical School. Swiss National Science Foundation (PBGEP3-134252) to AAL. Suzanne Czerniak, Elif Sikoglu, Ana Liso Navarro, Joseph McCafferty, Jordan Eisenstock, J Herbert Stevenson, Jean King, and Constance Moore declare that they have no conflict of interest. All procedures followed were in accordance with the ethical standards of the responsible committee on human experimentation (institutional and national) and with the Helsinki Declaration of 1975, as revised in 2000 . Informed consent was obtained from all patients for being included in the study.